If you’re a sushi-lover, you probably have a favorite type of fish you love to order when selecting nigiri (raw pieces over sushi rice). 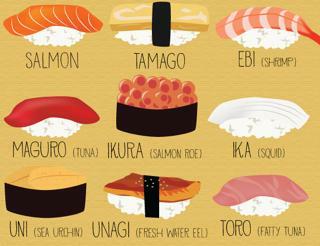 I Love Coffee created an interactive graphic that supposedly tells you what personality type fits with some popular sushi types. My favorite nigiri is salmon. According to the graphic, that means I’m a hard worker! Click here to access this super-fun food infographic.